I’ve been saying for months that I’d finished my whisky collection, having an example of single malt from every active distillery in Scotland. Technically I was wrong because I had ‘spirit drinks’ from Glenglassaugh that were too young to legally be called ‘whisky’. I knew Jim Murray (Whisky Bible author) wasn’t a fan of the ‘Revival’ but everyone should be his or her own judge. At 46%, non-chill filtered and natural colour, the Revival has the makings of an excellent whisky, so long as the creative process has gone well. In March 2014 I found myself in The Grill, an excellent pub and whisky bar in Aberdeen, Scotland, wondering what to drink. I decided to try the Revival and instantly loved it. Jim Murray’s issue with this whisky is the poor choice of casks (he recommends ex-bourbon rather than new sherry butts) and the presence of sulphur. Thankfully I didn’t detect the latter and I was very happy with the sherry maturation. The average score of 82/100 from the Malt Maniacs is good so I’m glad someone else agrees with me. It’s definitely one worth trying, especially if you see Amazon selling it at a good price AND free delivery. When you consider that the Fledgling XB is a spirit matured in bourbon barrels for 1 year, therefore not officially whisky, you realise why there is such a wild different when it comes to reviews. Personally I’m not even sure it should be reviewed because what can you compare it against?! At least in the world of whisky the boundaries have been established over the decades and likes/dislikes can be explained with some level of accuracy. So I would say to take reviews of any spirit drink with a pinch of salt and be your own judge, should you feel like trying something different. Glenglassaugh distillery was closed in 1986 but reopened in 2008. Rather than twiddle their thumbs until 2011 when their new spirit could officially be called whisky, they decided to release spirit drinks to whet the apetite of the patiently waiting customers. So, in 2010 we see the launch of ‘Peated’, ‘Clearac’, ‘Blushes’ and ‘Fledgling XB’. Then in 2011 the distillery issued ‘Revival’ the first official whisky at 3 years old. This is next on my shopping list, even though the Whisky Bible only gives it 75/100. As interesting as the spirit drinks are, I feel I ought to have an example of real whisky from this reborn distillery. Bought as part of a triple set of 20cl bottles from the revived Glenglassaugh distillery. Not a whisky because it’s too young but a chance for whisky fans to taste something different. ‘Blushes’ is spirit matured in red wine casks for 6 months. First released in 2010, it’s now been discontinued. 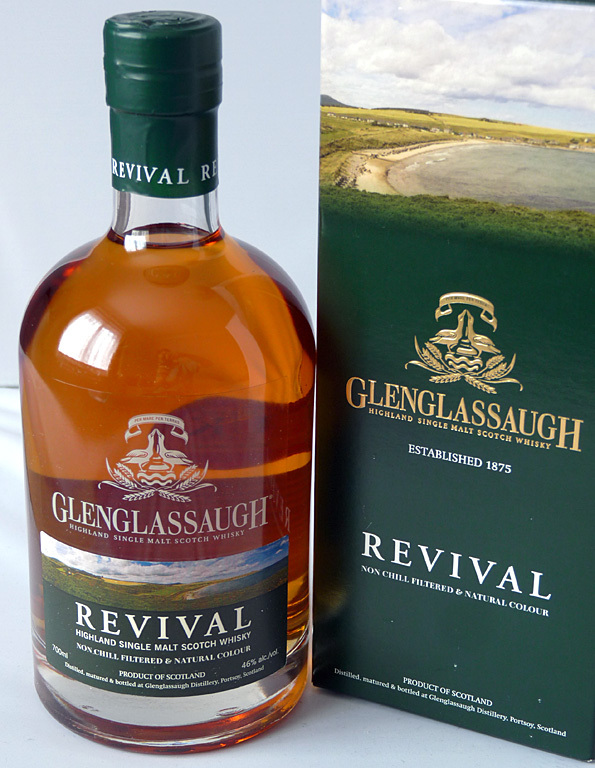 Bought as part of a triple set of 20cl bottles from the revived Glenglassaugh distillery. Not a whisky because it’s too young but a chance for whisky fans to taste a new spirit straight from the still.